Cloud Vapor. 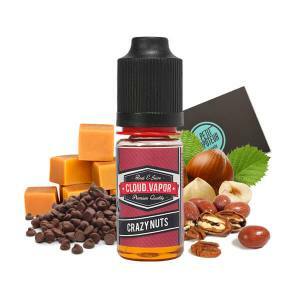 Premium e-liquids for the Electronic Cigarette manufactured by team who are passionate about vape, real aromaticians. Cloud Vapor is a French Brand which is 100% Nantais and is used with the French bases and aromas. The result together gives flavour and perfectly balanced mixtures with a Cloud Vapor Style which is remarkable. Cloud Vapor respects the European Standards and uses BIO Vegetable Glycerine. Grape, Litchi, Apple, Papaya.... 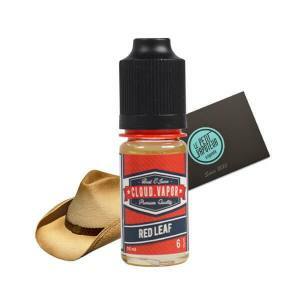 The brand Cloud Vapor propose recipes which are fruity and savoury. The quality is "leitmotiv" by the passionate creators of Cloud Vapor. Why? The recipes of Cloud Vapor e-liquids have been thought of, tested and elaborated in France, by expert aromaticians. The Cloud Vapor aroma is created in respect with the European Standards linked to hygiene and quality nourishment. The vapers have not be mistaken and have immediately adapted the range Cloud Vapor Aroma and the different fruity flavours. The recipes invented by Cloud Vapor propose unexpezcted fruits and all are savoury, like the others: Green Apple is associated with Strawberry, Kiwis and Mango.. The Kiwi, alongside wood and absinth, the litchis are linked to pomegranate... Certain Vapers have even chosen Cloud Vapor for all time.